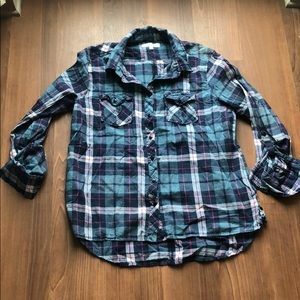 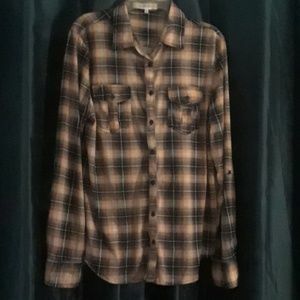 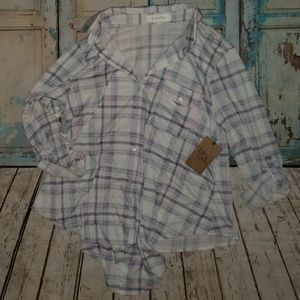 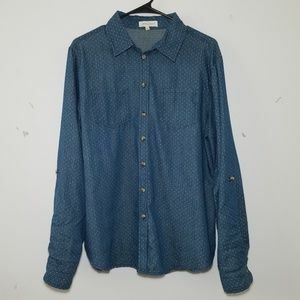 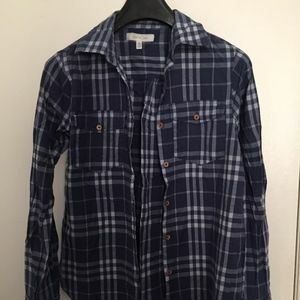 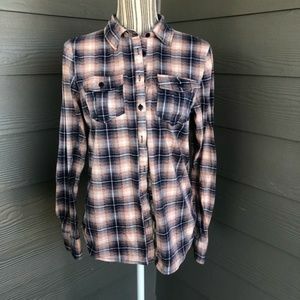 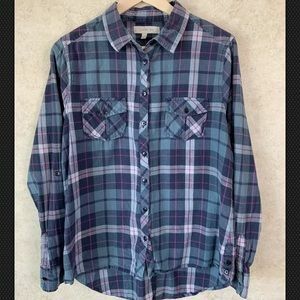 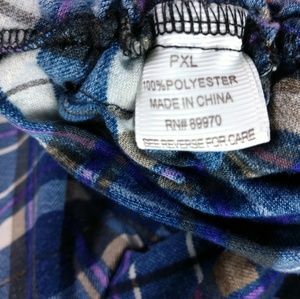 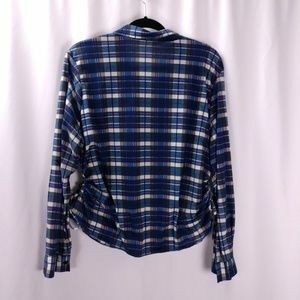 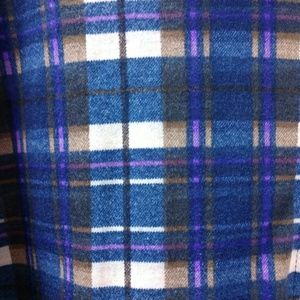 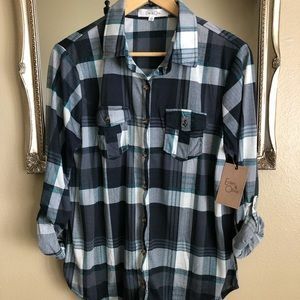 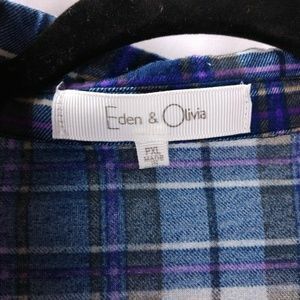 Soft flannel in blue, white and purple. 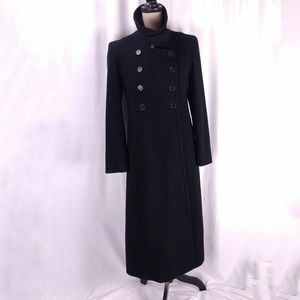 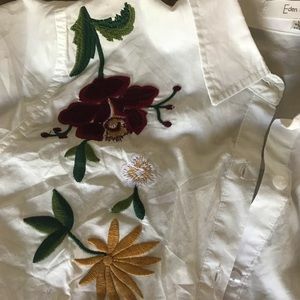 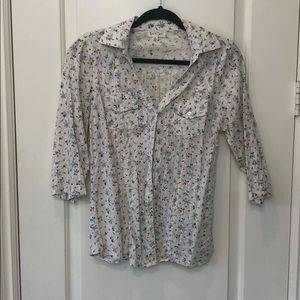 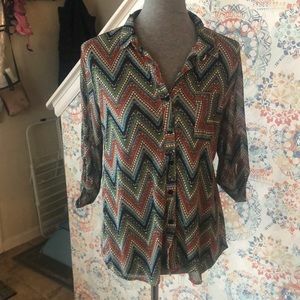 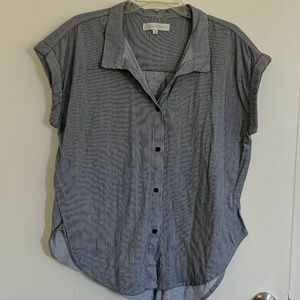 Button front with convertible roll tab sleeves. 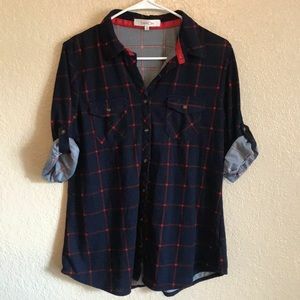 Side scrunch. 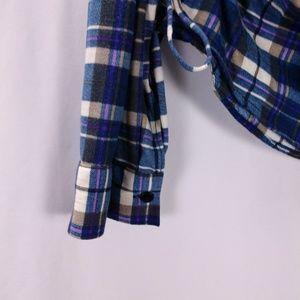 No rips tears or stains. 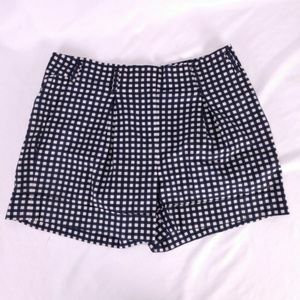 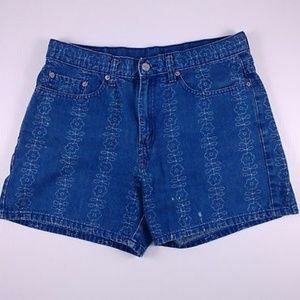 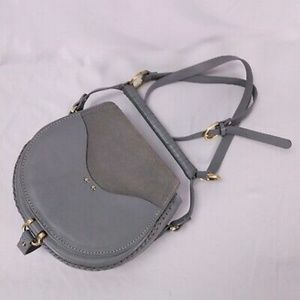 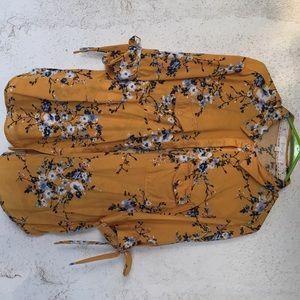 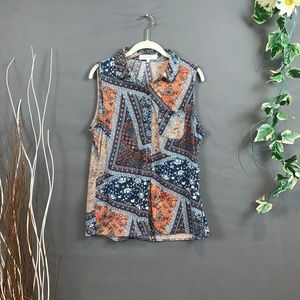 Size PXL. 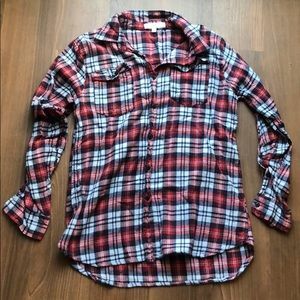 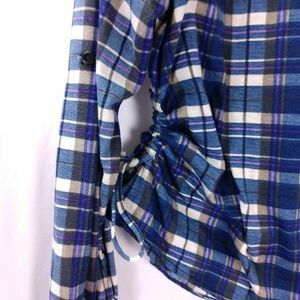 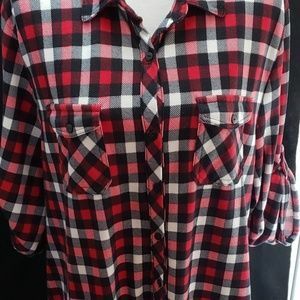 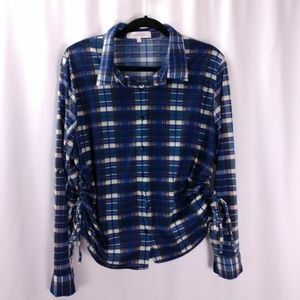 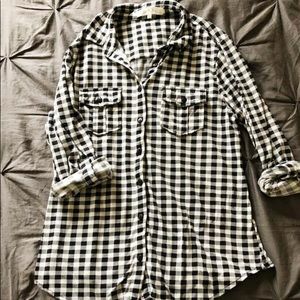 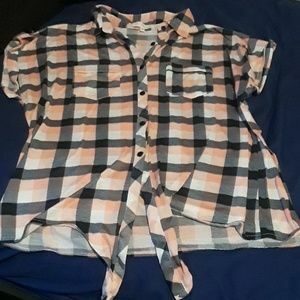 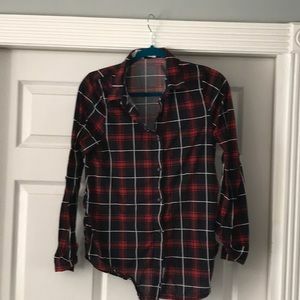 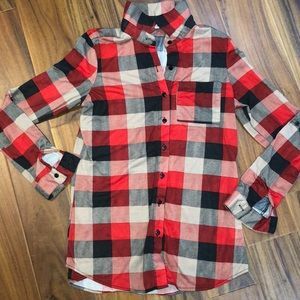 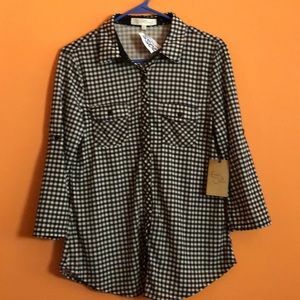 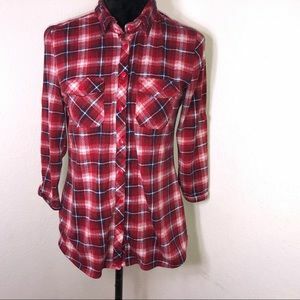 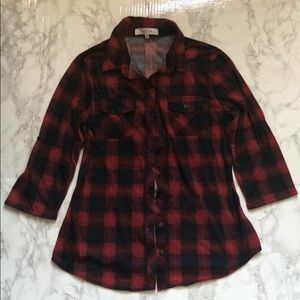 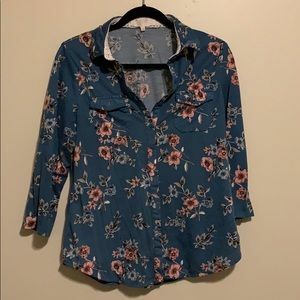 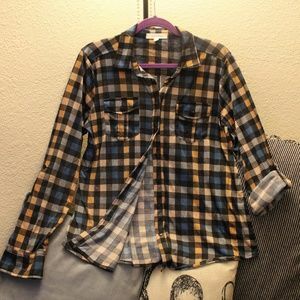 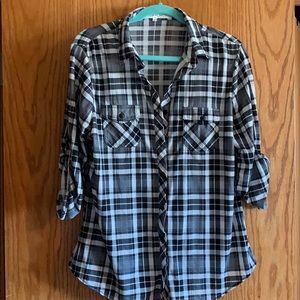 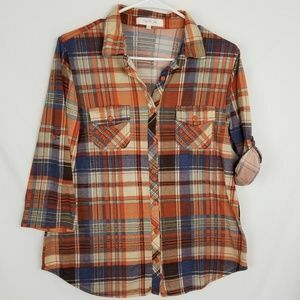 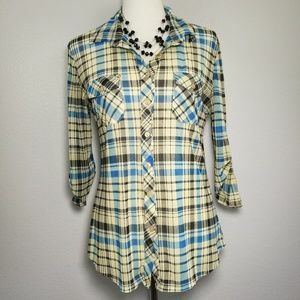 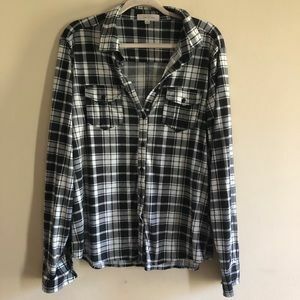 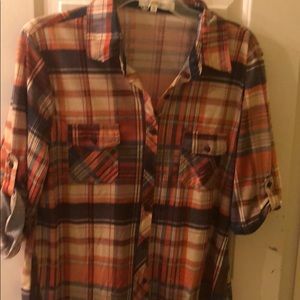 Bust: 48" Waist: 44" Length: 26" Sleeve: 24"
Size: 10" x 4" x 9"
Plaid shirt 3/4 sleeve but can be adjusted.